Minutes of the meeting are written and recorded documentation which is used for informing the attendees and the non-attendees about the happenings during the meeting. 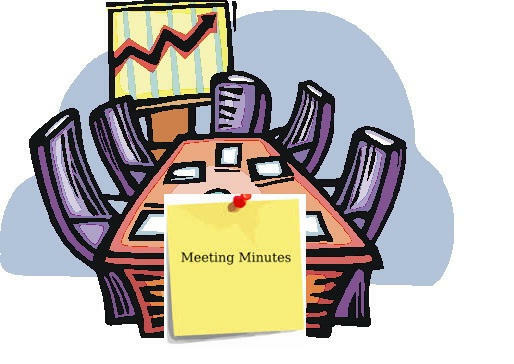 The minutes of meeting are generally taken and recorded at the time of the meeting so that the participants have a written record of what happened in the meeting. Minutes are also known as the protocols or more informally the notes which are the instant written record of meeting or a hearing. Minutes typically describes the events which take place in the meeting along with a list of the attendees and a statement about the issues which are considered by the participants and responses or decisions related with the issues. Minutes can be created during the meeting either by a typist or by a court reporter, who can make use of shorthand notations and can prepare the minutes and then issue them afterwards to the participants. Also, the meetings can be audio recorded, video recorded, or even there are the group’s being appointed or informally assigned by the Secretary to take notes, while minutes prepared later. Many agencies make use of minutes recording software for recording and preparing minutes in real-time. The format of the meeting’s minutes varies from one organization to another, but they are usually straightforward. Minutes start by listing the body, gives the date and time of meeting, members present, and also offers a short review of every agenda item and record of the vote, if any being taken for each and every item. It will also note the time of adjournment and lists the date and time of next meeting. Minutes of meeting are very essential for recording the contributions of people towards the actions being taken by a company. Meeting minutes can be used as an evidence in a court of law in the case of a lawsuit. Because of the high level of public exposure, it is often recommended that the meeting minutes are considered as an important part of a company’s communication and its record keeping. Minutes of the meeting focuses on decisions being made during meeting and commitments being made by participants. The commitments are being accompanied by the due dates and other details necessary for understanding of the meeting participants. Effective minutes of the typical business meetings does not require to record each discussion. There is also no need to record and state that who said what. This rule of minute making is quite different from another type of situations like legal action, court hearings, and so on. These types of minutes require a record of the conversation and the statement, whereas it is not required by typical workplace meetings. Ideally, minutes are disseminated to participants within the 24 hours of meeting. Minutes serve as a reminder of the commitments made in the meeting. They help participants to transfer their meeting commitments to calendars and in their to do lists. Usually, minutes begin with entity name, date, people present, the date and time on which chair called the meeting to order. Minutes record what occurs in a meeting actually, in the order in which it actually happens, regardless of any written agenda that encounter follows. The principal function of minutes is recording the decisions being made, and all executive decisions should be included. Events or discussions which are worth documenting for future reviews or history. Before meeting, information from the host should be gathered as much as possible. There should be a list of all attendees, as well as information about the purpose of the meeting. This would ensure that there is no need to scramble for understanding what’s going on while recording notes. It should be decided in advance that how records should be noted. If one is not comfortable with using pen and notepad than use of tape recorder or a laptop can be made in the meeting. Action items should be recorded and decisions should be made as they happen not waiting until after the meeting to get over to pull them out of notes or a mistake could be committed. 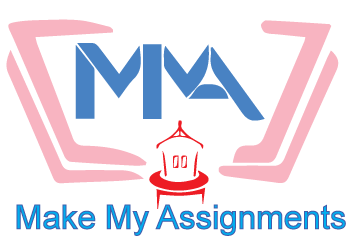 If one is unable to understand what decision has been made or action that has been assigned so he should ask the meeting lead for clarification. Proper review of the notes should be made and additional comments should be added, or clarification of what is not being understood after the meeting. This should be done while information is fresh in one’s mind. While making minutes, use of some of the following tips from the International Association of Administrative Professionals (IAAP) should be also made of. Numbering the page to avoid confusion later. Though, the minute-taker is responsible for providing good flow he should not be forced to write minutes in actual chronological order of discussion. Focus should be on action items, not discussion. Purpose of minutes is defining decisions being made, and recording actions that are to be taken and by whom and when. Be objective. The minutes should be written in the same tense throughout and use of people’s names should be avoided except for motions or seconds. Inflammatory or personal observations should be avoided. The use of fewer adjectives or adverbs should be made. Dull writing is a key for effective minutes. If there is a need to refer to documents, then they should be attached in an appendix or inadequate. Don’t rewrite the intent or to summarize them. next post: What is Operating Leverage?